The rational insulation design of a resistive superconducting fault current limiter (r-SCFCL) requires data gathered from experimental setups representative of the final apparatus. 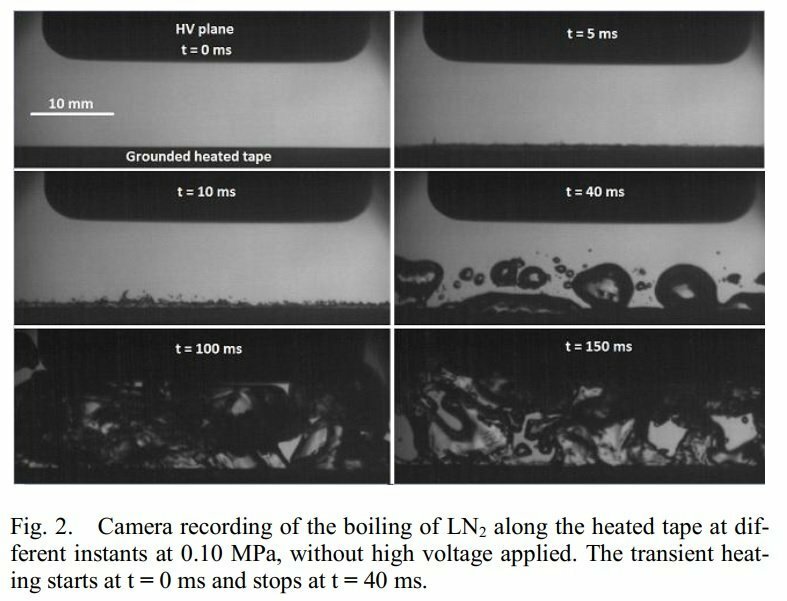 Therefore, an experimental study was performed to characterize the electrical breakdown (BD) of liquid nitrogen (LN2) in the peculiar conditions of a quenching superconducting device. To reproduce the electrical stress occurring within a real r-SCFCL winding, BD voltages with a grounded tape electrode were investigated with different polarities and pressures, with and without transient heating on the tape electrode. Pictures obtained with a high-speed camera and breakdown delay measurements allow to further characterize breakdown mechanisms. Index Terms: breakdown, insulation design, superconducting fault current limiters, liquid nitrogen, bubble.